Rex Tillerson: What does he really think about climate change? Who knows? Donald Trump’s pick of Rex Tillerson for Secretary of State sends a chilling message about the new administration’s commitment to addressing the challenges of a warming planet. Who is Rex Tillerson? And why should he be asked to answer tough questions about climate change and climate-change denial at his confirmation hearing? 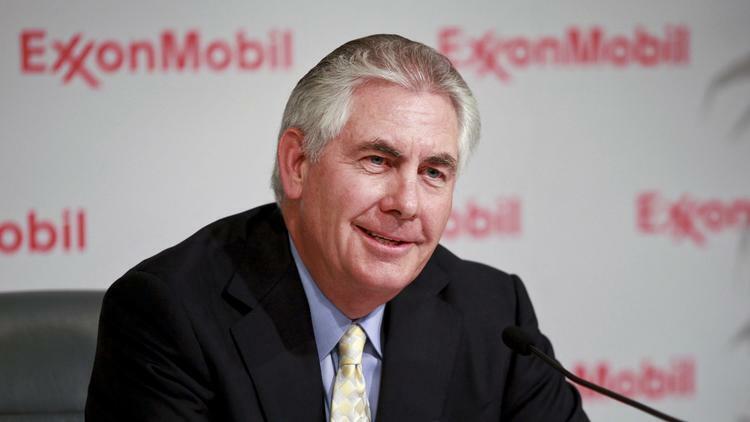 As a life-long oil and gas man and an employee of ExxonMobil since 1975 and its CEO since 2006, Tillerson has worked for and then taken the helm of a company that has engaged for four decades in a deliberate, misleading, and well-financed public-relations campaign intended to hide what the company’s own internal climate studies concluded. ExxonMobil has been at the forefront of sowing doubt about the research and causes of climate change. It has been a major player in the effort to discredit the prevailing science and the scientists who engage in climate study. It has fought regulations intended to protect public health and security. Let’s go back to those four decades of climate-change denial for a moment. The tragic impact of those lost decades of disinformation and suppression of scientific evidence cannot be overstated. During those years, the world lost the opportunity to address the challenges of climate change at an earlier stage by taking aggressive steps to limit fossil fuel consumption and devoting more time and money to research and develop renewable-energy technology that could have made the costs and large-scale conversion to clean energy more affordable. Lost, too, was the opportunity to mitigate, at that earlier stage, some of the most extreme of a warming planet’s destabilizing and destructive effects on the global community. Tillerson’s public statements and personal history on climate change are mixed at best. After all, it wasn’t until 2007 – one year after Tillerson took the helm at ExxonMobil and forty years after the company had on record the conclusions from its own scientific studies that there was evidence of human-caused climate change—that ExxonMobil first disclosed to its shareholders the threat to future profitability that climate change would certainly pose. That same year, Tillerson belatedly acknowledged in a speech the reality of a warming climate and the fact that carbon dioxide levels were indeed increasing. In the same speech, however, he went on to defend the oil industry, claiming falsely that no viable alternatives existed and reaffirming ExxonMobil’s disastrous commitment to oil and natural gas production. Tillerson should face tough congressional hearings on his appointment as secretary of state. If the senate does its job, Tillerson will need to be held accountable for his years at ExxonMobil during the corporation’s campaign to suppress the science on global warming. Because of Tillerson’s complicity in manipulating facts about an issue that will have devastating impacts on the nation’s national security, his appointment should be rejected. To better prepare for listening to those hearings, here’s a timeline, courtesy of GreenPeace, that highlights the most egregious of the oil giant’s decades’ long campaign of deception and climate denial. ExxonMobil scientists undertake studies of the human causes of global warming. Mobil and then ExxonMobil bankrolls a public-relations weekly advertorial blitz in the New York Times casting doubt on climate-change science. President George W. Bush adopts the ExxonMobil language nearly verbatim in his March speech on his reasons for rejecting the Kyoto Protocols. New York State Attorney General Eric Schneiderman and Massachusetts Attorney General Maura Healey open investigations into whether ExxonMobil may have violated state securities and consumer fraud laws by deceiving consumers and investors about the impact of fossil fuels on the environment and the company’s business. Massachusetts and New York are joined by California, the District of Columbia, Vermont, Virginia, Maryland, and the Virgin Islands in support of investigations of possible consumer fraud by ExxonMobil. As the scientific evidence concerning climate change became clear, some of the world’s largest carbon producers – including BP, Chevron, ConocoPhillips, ExxonMobil, Peabody Energy, and Shell – developed and participated in campaigns to deliberately sow confusion and block policies designed to reduce the heat-trapping emissions that cause global warming. Fossil fuel company leaders knew (emphasis added) that their products were harmful to people and the planet but still chose to actively deceive the public and deny this harm.
. . . With documents made public as recently as 2014 and 2015, the evidence is clear that a campaign of deception about global warming continues to the present. Previous Post:With Trump, is there a line between business and government? Next Post:How does the revolution in Rojava fit into the Syrian Civil War?